Mutton busting is great fun for spectators, but not necessarily kids or sheep. 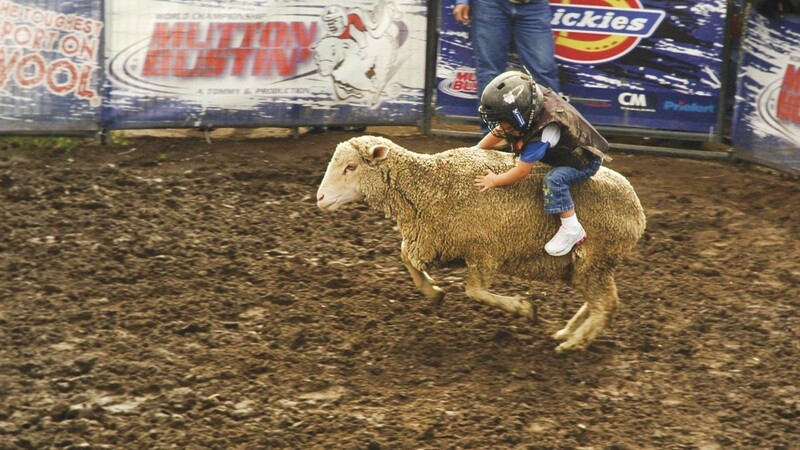 The Alameda County Board of Supervisors will reconsider a direction its planning committee made to staff last January to create a draft ordinance banning "mutton busting," a rodeo act in which young children ride sheep. The planning committee voted, 4-1, with Supervisor Scott Haggerty voting no, on Jan. 15 after testimony and several videos detailed the events at Castro Valley's Rowell Ranch Rodeo, which also include wild cow milking, basically a speed milking contest. The event also has been a staple in years past at the Alameda County Fair. But Supervisor Nate Miley, who represents Castro Valley and who voiced tepid support for the draft ordinance banning mutton busting two months ago, is asking the board to reconsider its direction at its regular April 9 meeting. In a memo, Miley urged reconsideration of the action due to concerns from constituents who said they could not attend and testify at the Jan. 15 because of the short-notice of the agenda, which, in this case, was 72 hours. Eric Mills, a prominent animal-rights activist and founder of Action for Animals, told the board Tuesday afternoon that animals such as those included at Rowell Ranch events experience great fear from the activities. "Any four-year-old knows the animals aren't having a good time," Mills said before adding, "If you do to dogs what they do to roping calves, they would put you in jail." Last January, at least two board members, Supervisors Wilma Chan and Richard Valle, were clearly disturbed by the videos of animals at the Rowell Ranch Rodeo. "I find the videos disturbing, and to be honest with you, cruel," Valle said. If the county supervisors decide to move forward with legislation next month, despite Miley's recommendation, they could face a tight time frame to have it on the books before the Rowell Ranch Rodeo opens in mid-May. 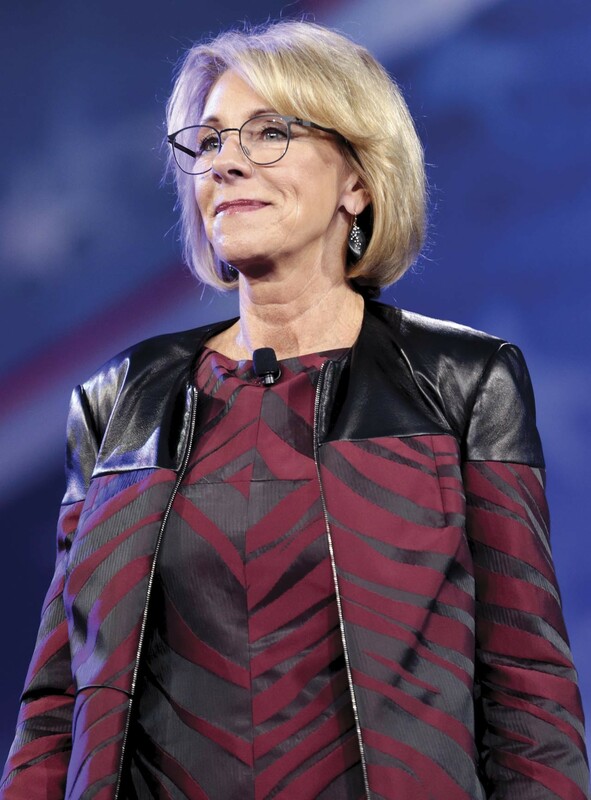 Nothing seems to raise Rep. Barbara Lee's blood pressure more than the sight of U.S. Secretary of Education Betsy DeVos testifying before the House Appropriations Committee. During a hearing Tuesday, Lee said the Department of Education's proposed budget targets minority students and disabled children. "You have zeroed out the Special Olympics, once again," Lee said. "I still don't understand why you would go after disabled children in your budget. It's appalling." "Thank God we had Brown vs. the Board of Education," Lee said. "The federal government gave us a chance to go to public schools. We need the federal government to provide that oversight for civil rights protection." Almost a year ago to the day, Lee had harsh words for DeVos during a House Appropriations hearing. The subject of Lee's outrage was mostly the same, racial disparities and proposed cuts for the Special Olympics. 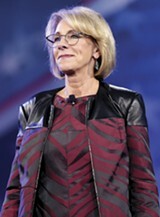 "Madam Secretary, you just don't care much about civil rights of black and brown children," an irritated Lee told Devos. "This is horrible." 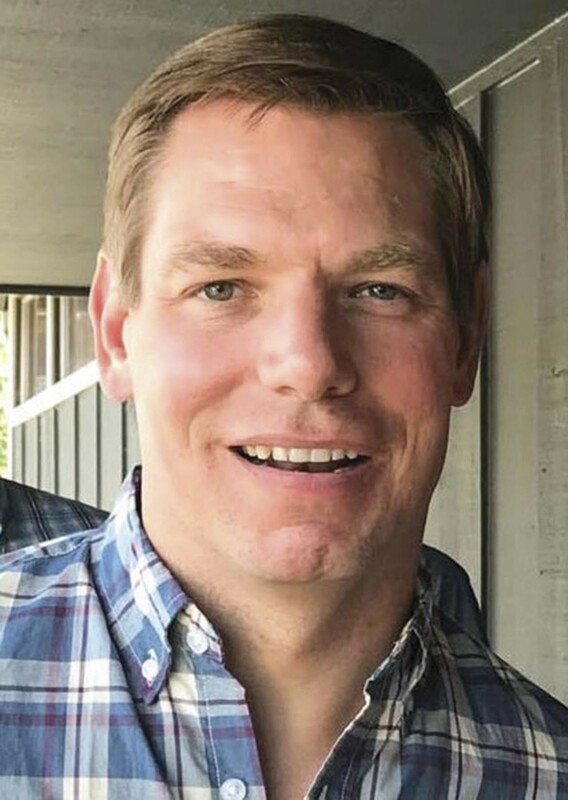 East Bay Rep. Eric Swalwell was overheard saying at a fundraiser Friday night in San Francisco that an announcement regarding his presidential aspirations is imminent. "Don't tell anybody, but I'm announcing in two weeks," Politico reported Monday morning. Swalwell was holding a fundraiser at John's Grill in downtown San Francisco that included 80 "big donors," according to Politico. Democratic presidential candidate Cory Booker had held a similar event at the restaurant earlier in the day. This isn't the first time Swalwell has hinted that a decision to run for president was upcoming. Last November, Swalwell said he would mull the potential campaign with his family over the holidays. As the new year began, he has at various times offered comments strongly suggesting that he will run. While in New Hampshire last month, Swalwell described the likelihood of a run as "all green lights." Then, appearing on HBO's Real Time with Bill Maher two weeks ago, Swalwell told the host that he would be making an announcement in a few weeks. However, in the days since, Swalwell has received immense ridicule from the right after the release of the Mueller Report, which evidently offers insufficient evidence that President Trump colluded with Russia, an assertion Swalwell has forcefully made for more than two years. Since 2016, Wells Fargo Bank has been an angry touchstone among progressives because of its too-often unscrupulous business practices and support for the Dakota Access Pipeline. The latter triggered a number of East Bay cities to seek divestiture from Wells Fargo in recent years. In November 2017, San Leandro sold $700,000 in investments with Wells Fargo, while beginning the process of shedding them as its primary banking services provider for the city's government. San Leandro's Finance Department, however, believes replacing Wells Fargo will be time-consuming, complicated, and costly, according to a memo that recommends the council maintain its $5 million partnership with the bank. The proposal was to come before the San Leandro City Council Finance Committee at press time. The city's banking service contract was put out for bid last November. Wells Fargo, in addition, to Bank of the West/PNB Baribas and JP Morgan bid for the contract. Incidentally, all three have investments in the Dakota Access Pipeline. Wells Fargo offered the lowest monthly rate, according to the Finance Department, while also providing a stimulus to the city. Wells Fargo employs 451 people in San Leandro, including more than 200 who reside in the city, according to the memo. Nevertheless, the recommendation is likely to upset progressive groups in San Leandro, along with some councilmembers.